The leaves were ankle-deep on Alfred Street. I scuffed through them, enjoying their crackle, while stopping to pick up handfuls to throw in the air. There I was in my red stockings and brown duffel coat, approaching the man whose job it was to rake up the leaves. Beseechingly I asked, they were so beautiful. Why couldn’t he let them be? I was 19 years old and he, older and wiser, explained that the leaves would turn slippery once the autumn rains fell. In the arrogance of youth, I thought him foolish. But he had seen many more autumns than me. Nature balances fresh life with decay. 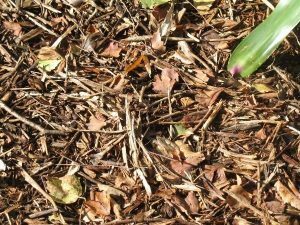 Pristine snow turns to mush, autumn leaves to slime and spring bulbs droop sadly after their first colourful burst. 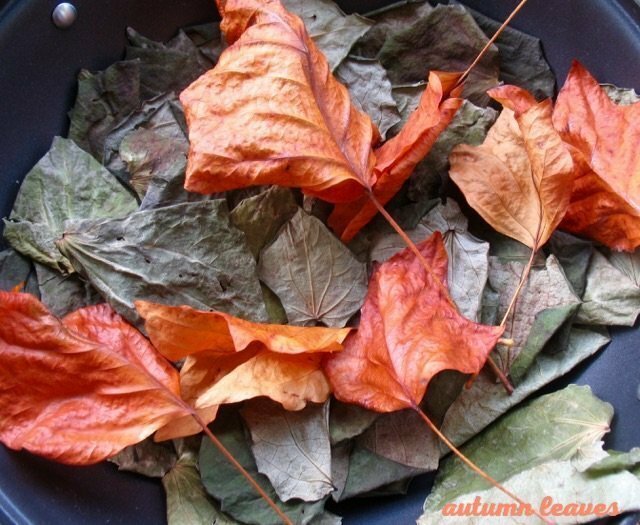 It took that young student many years before she let go of her sadness at such changes and finally joined the dots to see that mush, slime, and slippery leaves were all part of nature’s way of gathering things back into a cycle of breaking down, reconstituting and turning old life into food for another growth cycle. Being young, she saw life as linear, an increasing line of upward growth. She had not yet been broken down by life’s harshness, only to discover that she would live to bloom again. It took many years to accept that her griefs and heartbreaks would compost into new cycles of tender growth. And when her chestnut hair turned irreversibly grey, she would discover that all seasons — gestation, birth, growth and dying had come to live inside her. What has this got to do with autumn? Autumn, more than any other season, is about surrender. As autumn turns its face towards winter, we are asked to surrender the mellow evenings and long walks, evening drinks in the garden, picnics on the hill and dips in the sea. We are asked to surrender our illusions — that still, warm days will last forever, that wanting something will automatically make it happen, and that we can stop the clock. We are asked to accept that the autumn deluges will wash away our desire for stability. Accepting the seasonal turn towards winter means accepting loss, decay, ageing and the wisdom of the sap as it returns to the roots. Yes. We are being carried inward, to quietude and listening as the last crickets sing out the lingering memory of summer. The coming season invites poetry, music, reflection and contemplation — a new journal perhaps, or a stirring of creativity, the comfort of nourishing soup and the sharing of goodness as leaves surrender to earthworms and beetles, and the earth drinks in long-awaited moisture, ready for a season of rest. Meanwhile, watch for the blaze of colour as autumn says goodbye. PS Would you like to learn how to ritualise the transitions that life brings? 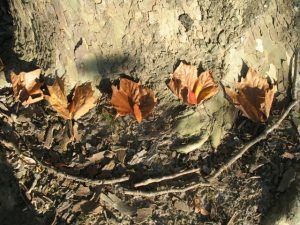 I have been teaching ritual and marking the eight seasonal changes of the year ever since 1984 and can help you to do the same. The Sacred Art of Ritual is an online course that will guide you through the seven stages of ritual, empower you to lead your own ceremonies and show you how to create a ritual group. Thank you Skarlett. I’m so glad that these musings on surrender have spoken to you in a helpful way. Blessings to you as you surrender to healing and may it take place in its own time. Jude, that sounds like good synchronicity. How lovely that you can feel such gratitude for all your autumns, with no regrets. That sounds like spirited ageing! (the title of my book) Thank you. I love the season of Autumn Juliet and your newsletter and your wisdom simply reinforced my own feelings beautifully. Thank you for being y o u and for sharing your magic with us all. Blessings. Thank you Helen, lovely to hear from you. Thanks once again Juliet – interestingly, and probably fittingly as I get older, last week I said to my partner: ‘You know, I’m sick of salad, I’m looking forward to soup.’ And I realised with that, that we had fully committed ourselves to eating seasonally during Summer and early Autumn because of her job, so therefore, we were ready for the change to things like soup. And in that, I take the lesson that in order to enjoy each season, you must live fully in that season, and definitely eat seasonally. Because when you do that, by the time that season of food ends, you’ve ‘done it’ and are looking forward to the next thing to come along. Personally, I’m going to make more of an effort now to live seasonally instead of going to the supermarket and living on what should be seasonal food items but are imported all year round. I’m glad my partner is working for a place where they deliver fresh NZ produce to places, so I now am more aware of the height of a food’s season. Yum, apples! Hi Penny, it’s interesting how natural seasonal eating becomes once you commit to it. I’m making soup again now. and it feels so welcome.